Bronchitis and pneumonia are two respiratory conditions that at first may appear to be the same, but there are unique differences distinguishing the two. In both conditions, inflammation is present, but for bronchitis it is inflammation of the bronchi, and in pneumonia it is inflammation of the lungs. Both conditions affect the lower part of the respiratory tract, but generally speaking, pneumonia is a more serious condition than bronchitis. Both conditions affect a person’s ability to breathe, but pneumonia has been found to reduce breathing function more than bronchitis. Furthermore, a fever in pneumonia is often more severe than a fever in bronchitis. Also, there is a chance that these respiratory conditions can be contagious. Determining if the type of pneumonia is contagious and the type of bronchitis is contagious you may be infected with is key. Bronchitis is generally easier to diagnose, but in the early stages there can be some confusion between bronchitis and pneumonia. The confusion becomes greater if a fever is not present in the beginning, which is commonly seen in pneumonia, so a diagnosis of bronchitis may be confirmed when in fact it is pneumonia, so the condition may persist due to incorrect treatment. To clear up any confusion between bronchitis and pneumonia, we will outline the differences in symptoms, causes, and treatment to give you a better understanding of both bronchitis and pneumonia. For some patients, there is a possibility that bronchitis will turn into pneumonia. This occurs because the bacterium that inflames the bronchi continues to cause inflammation in the lungs, too. This can occur if bronchitis goes untreated, allowing bacteria to grow. The risk of bronchitis turning into pneumonia is much higher in younger children and older adults as their immune systems are weaker and unable to fight off the bacterial infection as effectively as in adults. In order to reduce the risk of bronchitis progressing to pneumonia, ensure you see your doctor to receive treatment for bronchitis. Annually in the U.S., there are 4.8 million cases of pneumonia and nearly 90,000 Americans die of pneumonia each year. Pneumonia is ranked the seventh leading cause of death in the U.S. Worldwide treatment and diagnostic cost for pneumonia is $109 million. Bronchitis cases exceed 10 million annually, with 70 percent of patients being older adults. Women are at double the risk for pneumonia compared to men. Estimated costs of bronchitis are $543 million, with an average cost of $3,799 per hospital visit. Estimated cost of treating hospitalized patients who have both pneumonia and bronchitis is $6,191. Here is a reference chart you can utilize in order to quickly see the differences and similarities between bronchitis and pneumonia. Bronchitis and pneumonia share many symptoms, but there are also notable differences. Bronchitis symptoms include a dry cough, which can progress to mucus. Other symptoms that may accompany bronchitis are typical to those of a cold or flu, like a runny nose, wheezing, headache, and chest pain. Symptoms of pneumonia include coughing with mucus, mild to high fever, shaking chills, shortness of breath that worsens with activity or movement, chest pain, headache, sweating and clammy skin, loss of appetite, low energy, weight loss, fatigue, and confusion. Pneumonia symptoms can also differ depending on the cause of the condition. Bacterial pneumonia symptoms typically include a high fever with perfuse sweating, rapid breathing and heart rate, and confusion and delirium. Viral pneumonia symptoms resemble flu-like symptoms, including fever, headache, muscle pain, and weakness. Both pneumonia and bronchitis cause inflammation. Bronchitis inflames the bronchi and trachea, pneumonia inflames the lining of the lungs. Bronchitis is commonly caused by a viral infection, and this is why it does not respond well to antibiotic treatment. In some cases, a bacterial infection can inflame the bronchial tubes, causing bronchitis as well. Pneumonia can be caused by a bacterial or viral infection. In rarer cases, it can be caused by a fungus. Conditions that weaken the immune system like smoking, COPD, and chemical exposure can cause damage to the lungs thus making them more susceptible to bacteria that can cause pneumonia. Risk factors for bronchitis include smoking, a compromised or weakened immune system, occupational exposure to irritants, and gastric reflux, which irritates the throat and increases the risk of bronchitis. 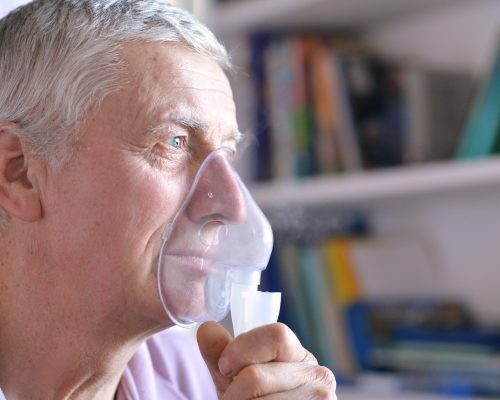 Pneumonia risk factors include being under the age of two or being over the age of 65 as these age groups have weaker immune systems, having a chronic disease, being a smoker, and being hospitalized – especially if you are on a device that helps you breathe. As you can see, the risk factors for bronchitis and pneumonia are quite similar. Complications that can arise from bronchitis are the progression from acute bronchitis to chronic bronchitis, or the development of chronic obstructive pulmonary disease (COPD). In some cases as well, bronchitis can progress to pneumonia. Complications of pneumonia are lung abscess, fluid accumulation in the lungs, difficulty breathing, and organ failure due to bacteria entering the bloodstream. In diagnosis of either disease, your doctor will analyze your sputum to determine if the cause is bacterial or viral. A chest X-ray will also be done, especially if pneumonia is suspected. Your doctor may also run blood work to check your white blood cells, which can reveal severity of the illness. High levels of white blood cells reveal that your body is fighting off a more serious infection. Your doctor may also run a lung function test to determine how well your lungs are working. If bronchitis is caused by a bacteria, antibiotics are prescribed, but if the cause is viral then antibiotics are not effective. Inhalers, plenty of rest, and over-the-counter pain killers are often the best course of treatment to get over bronchitis. Pneumonia is often treated with antibiotics or antiviral medication. If a high fever is present, your doctor may also prescribe antipyretics (fever-suppressing medications). Cough medications may also be used to relieve congestion. With proper rest and hydration, pneumonia will only stick around for a couple of weeks and you will be back on your feet once again.